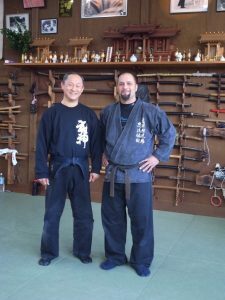 Originally from Los Angeles, CA., Shihan Ethan Capers has over 35 years of study in the Martial Arts and began training in the Bujinkan in 1996. He travels regularly to Japan to continue his training under Bujinkan Soke, Dr. Masaaki Hatsumi and the senior instructors in the art. 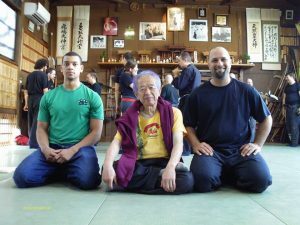 Ethan received Godan in November of 2004 under Soke Masaaki Hatsumi. He was given Judan Hi-i(13th Degree black Belt) by Hatsumi Soke on May 26, 2013. He also holds instructor level grades in Tae Kwon Do, and Dragon Gate Shin Bop Sool. He holds a BSc. in Kinesiology with a focus on clinical movement science from the University of Minnesota. He is a certified Personal Protection Specialist with the Alliance Group, Los Angeles and is the former Director of Operations for Dragonfly Protection Services L.L.C., A Twin Cities-based private security firm. He was a contributing editor for Bujin-Kan Magazine online and the host of the 2009 Midwest Bujinkan Taikai. He has an extensive background in Music and Theater, and is a proud father of 4 children. Ethan faithfully does his best to pass on the arts of the Bujinkan in the most complete and effective way possible, teaching according to the ways demonstrated by Soke and the Shihan in Japan. He is a strong proponent of the concept that there is a process to studying the martial arts properly and that one must fully participate in that process without cutting corners in order to gain any true and useful grasp of the art. Shidoshi Warfield began training in The Bujinkan in 2008. He received Godan (5th degree black belt) in 2013. He is currently a Hachidan. He has a a long history with athletics, and his educational background is in Kinesiology. Thomas currently works in healthcare. Sensei Dahlman passed his Godan test in 2018. He began training in 2008. He has an education in Physics. His classes will focus on finding and refining the kihon (fundamental concepts) within the Kata. 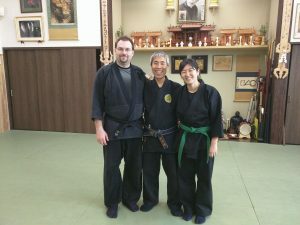 Sensei Warfield began training in the Bujinkan since 2011. 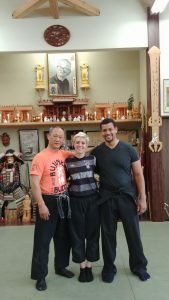 She received her Shodan in 2016. She passed her Godan test in 2018. She teaches the Fundamentals class at the dojo. 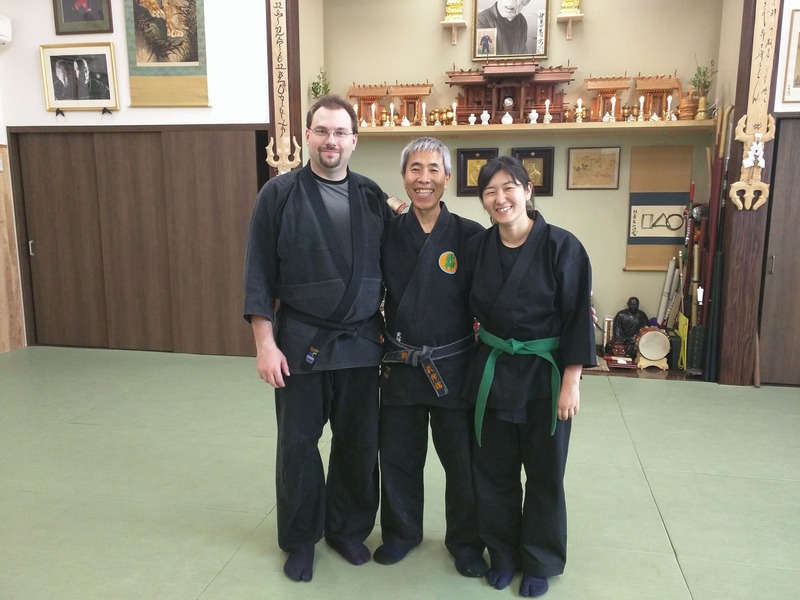 The focus of her class is to explore the Tenchijin, the comprehensive basic curriculum for Bujinkan martial arts.